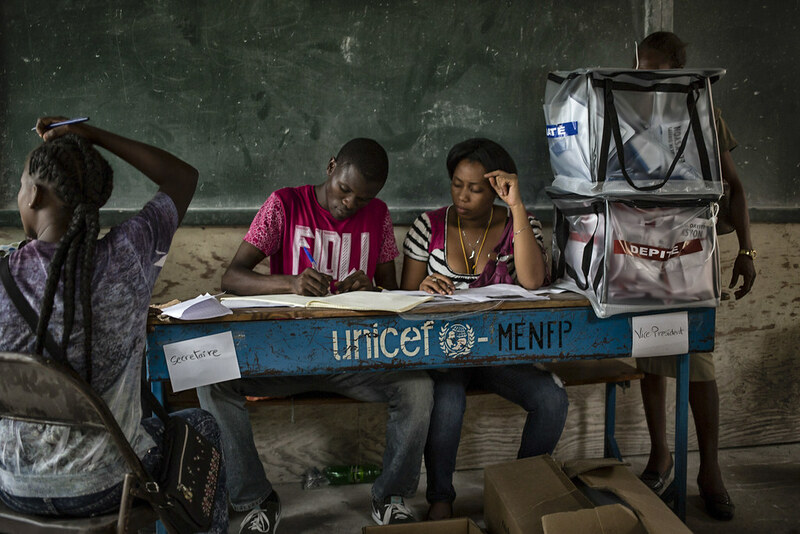 In many countries, polling day ends with disputes about ballot-box fraud, corruption, and flawed registers. Which claims are accurate? And which are false complaints from sore losers? New evidence gathered by the Electoral Integrity Project has just been released in an annual report which compares the risks of flawed and failed elections, and how far countries around the world meet international standards. The report evaluates the integrity of all 180 national parliamentary and presidential contests held between 1 July 2012 to 31 December 2015 in 139 countries worldwide, including 54 national elections held in 2015. Data is gathered from a global survey of more than 2,000 election experts. Immediately after each contest, the survey asks 40 domestic and international experts to monitor the quality of each election based on 49 indicators. These responses are clustered into eleven stages occurring during the electoral cycle and summed to construct an overall 100-point expert Perception of Electoral Integrity (PEI) index and ranking. ‘Failed’ elections are defined as those which fall below 40 on any of the 100-point scales. 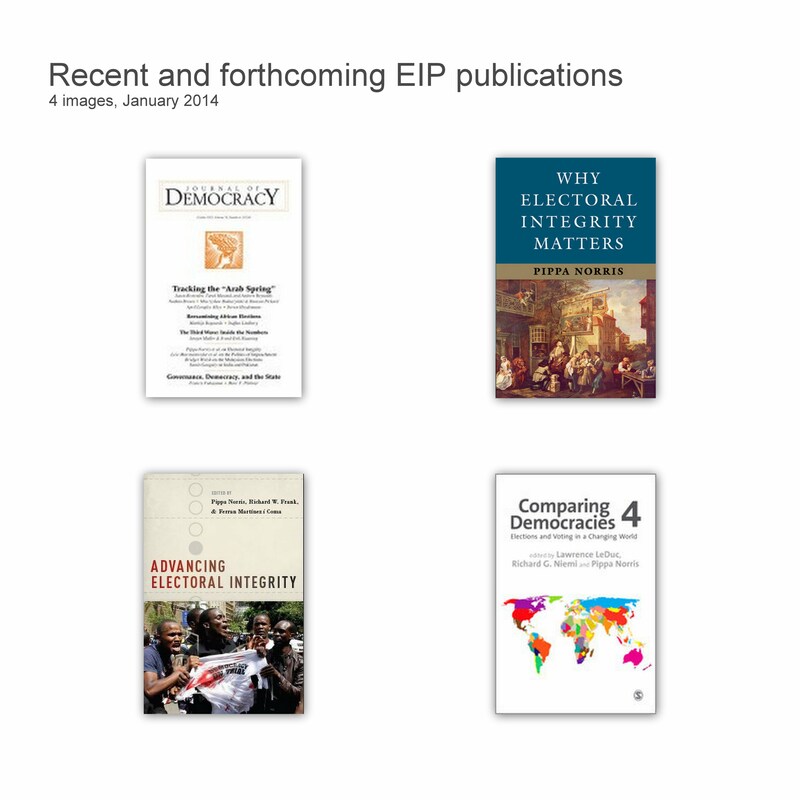 The EIP is an independent research project based at the University of Sydney and Harvard University, directed by Professor Pippa Norris. The report found that the most widespread problems concerned money and media. Experts rated around two-thirds (68%) of all elections last year as having ‘failed’ standards of campaign finance. Similarly, 38% of all elections were rated as 'failed' in the quality of their media coverage. Electoral integrity was undermined by societal constraints such as deep-rooted poverty and a legacy of conflict. It was strengthened by international linkage (e.g. membership of regional organizations), and the design of political institutions (including proportional electoral systems and impartial electoral management bodies). 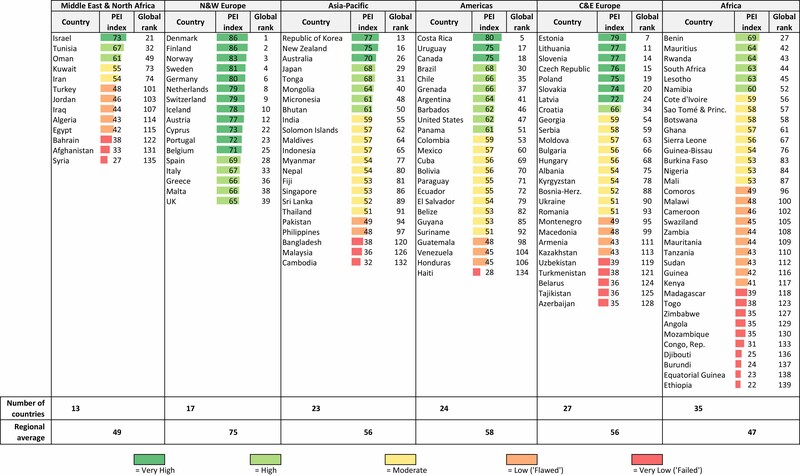 Overall, across all issues, last year experts rated one in six elections (8/54) as failing to meet international standards of electoral integrity, (ranked below 40 on the 100-point PEI Index). This included contests with many malpractices in Ethiopia, Burundi, Togo, Azerbaijan, Tajikistan, Belarus, and Uzbekistan, and Haiti. These elections typically saw fraud, protests, and conflict. Ethiopia, ranked worst, is a key example, where the ruling party, the People’s Revolutionary Democratic Front, won all seats in May 2015, amid repression, intimidation, and censorship. Another nine elections were deeply flawed in electoral integrity last year, (rated 40-50 on the PEI index). This included contests in Zambia, Tanzania, Sudan, Egypt, Guinea,Guatemala, Venezuela, Turkey and Kazakhstan. Even some long-established democracies had elections with some problems. This includes the May 2015 UK general election (ranked 39th worldwide), the worst performance in Western Europe. In the United States, the 2012 Presidential election and the 2014 Congressional elections were ranked worst of any long-established democracy, especially on campaign finance and electoral registration. By contrast, however, experts ranked nine elections very highly in meeting international standards of electoral integrity, including in Denmark (ranked 1st), Finland, Estonia, Switzerland, Poland, Portugal, Israel, and Canada. Experts also rated elections positively in some developing countries and newer democracies, including in Benin, Croatia, and Lesotho. Some notable gains also occurred last year, although contests had room for further improvements, including in Nigeria and Myanmar. 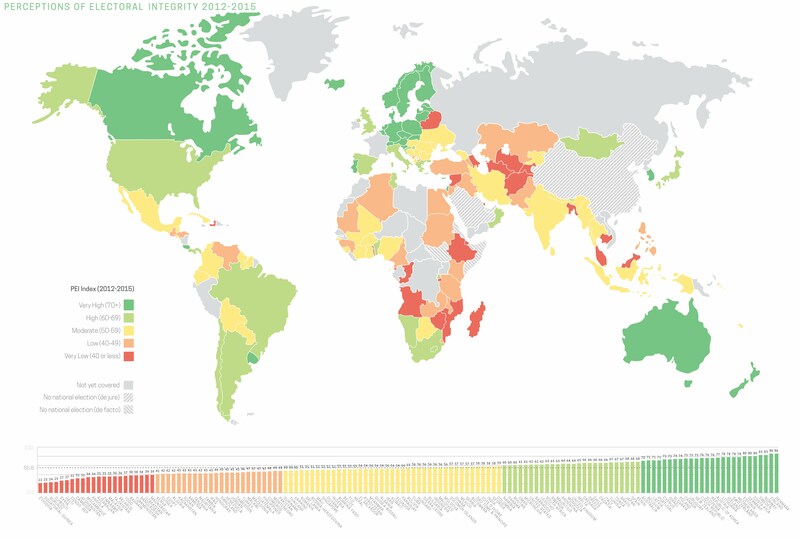 Long-standing democracies such as Norway, Germany and the Netherlands were among the highest in electoral integrity, but several newer democracies also ranked highly, including Estonia, Costa Rica, and Slovenia. By contrast, during 2015 failed contests in Ethiopia, Burundi and Togo were among the worst rated by experts. The report also highlights contests to watch during 2016. This includes elections in Australia, the DRC, the Dominican Republic, Iran, Morocco, Peru, the Philippines, Russia, South Korea, Syria, and the United States. Comments and feedback on the report are welcome and any errors brought to our attention will be corrected in subsequent releases. Reference to the dataset should be cited as "Pippa Norris, Ferran Martinez i Coma, Alessandro Nai, and Max Grömping. 2016. The Perceptions of Electoral Integrity (PEI-4.0) dataset, Release 4.0. University of Sydney/Harvard University."